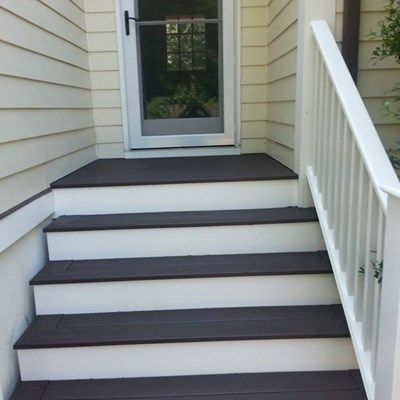 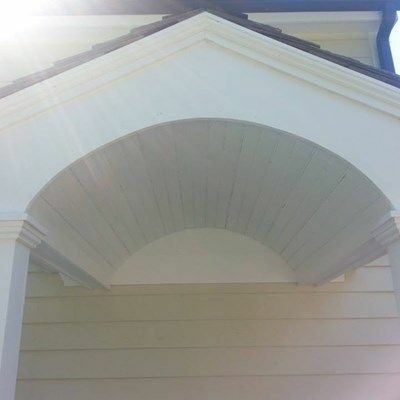 This project entailed three facets - the porch, portico w/ stairs and a small landing w/ stairs. 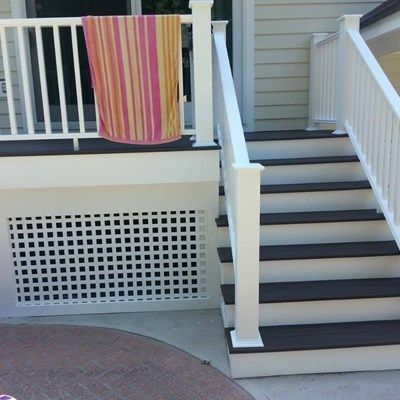 The railings used here are the INTEX Millwork Hampton Railings. 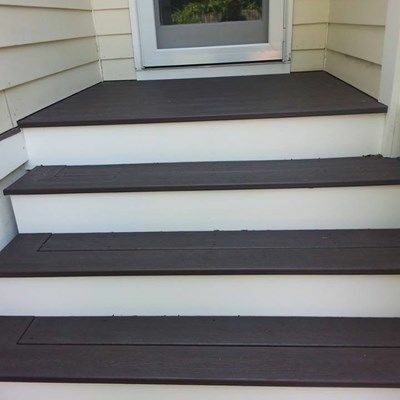 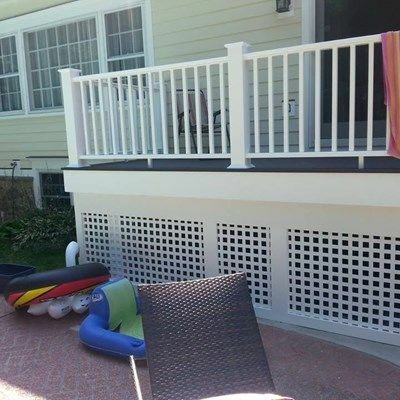 I can't say enough wonderful things about these premium railings...they are beautiful with clean lines, hidden connections and low maintenance PVC. 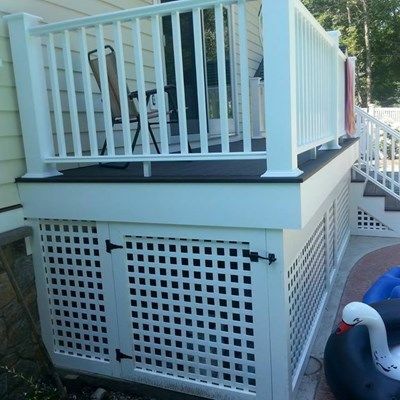 The decking is Trex Transcends in Vintage Lantern. 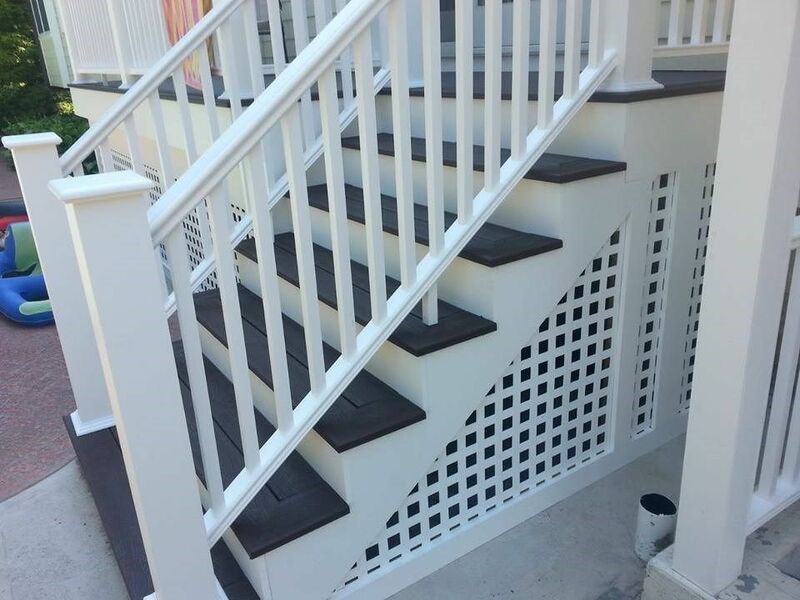 The lattice work is square privacy lattice, picture frame trimmed with Azek PVC throughout.